Please join The Speckled Goose and Funky Vintiques as we celebrate the last Art Night Out in Old Town Lafayette, Co of 2013. I will be at Noble Treasures for all of the fun from 3 pm – 9 pm. Hope to see you there! 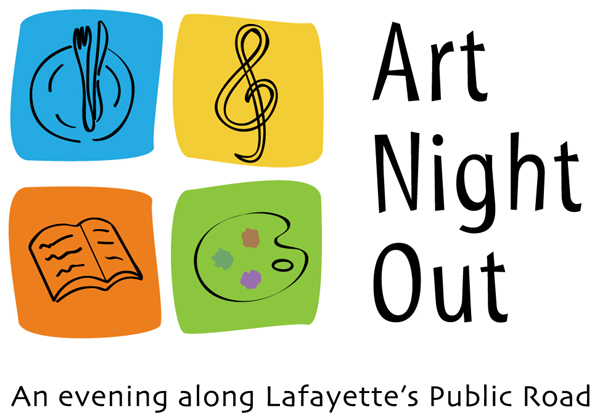 Art Night Out is a community arts event in Old Town Lafayette, with live music, downtown art walk, beer and wine garden, artist booths, face painting, dining, literature, shopping, art receptions, children activites at Arty’s Creation Station, and more! Join us every third Friday of the month, May – September from 5 pm – 9 pm. Thanks to all of the sponsors who help make Art Night Out possible, and thanks for your support of the local estiblishments!